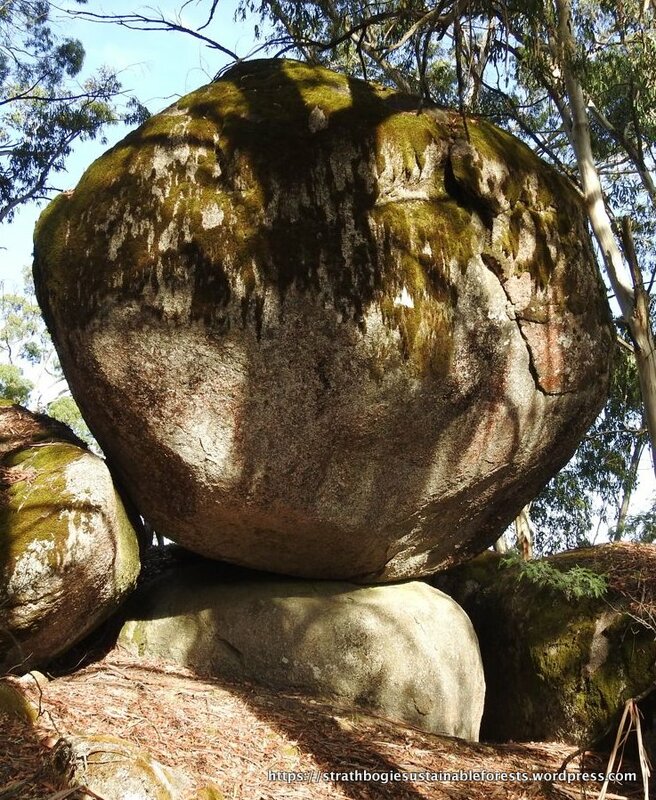 At about 1000 m altitude, this is the highest part of the Strathbogie Ranges, often snow-covered in Winter, but on this day it was warm and sunny; the blue sky a perfect backdrop for the canopy foliage high above our heads. 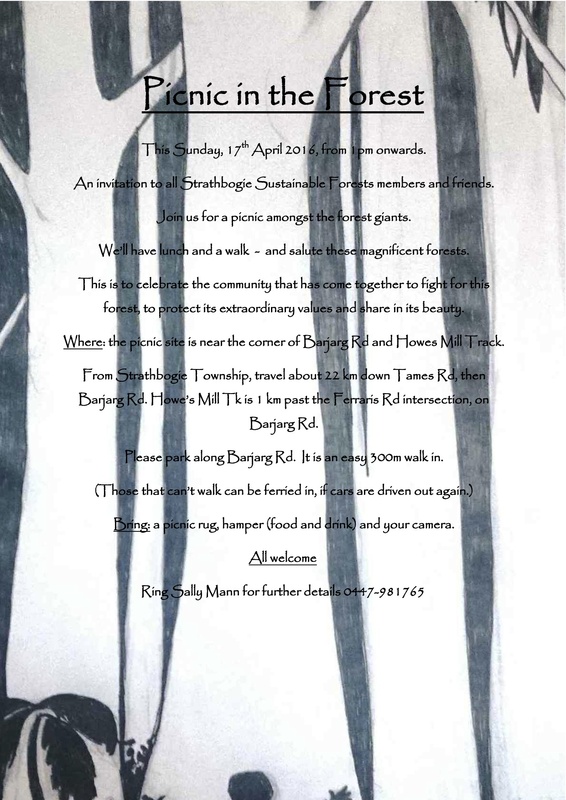 About 20 people joined the walk, a ramble really, with plenty of stops to look and listen and learn more about this magical forest. 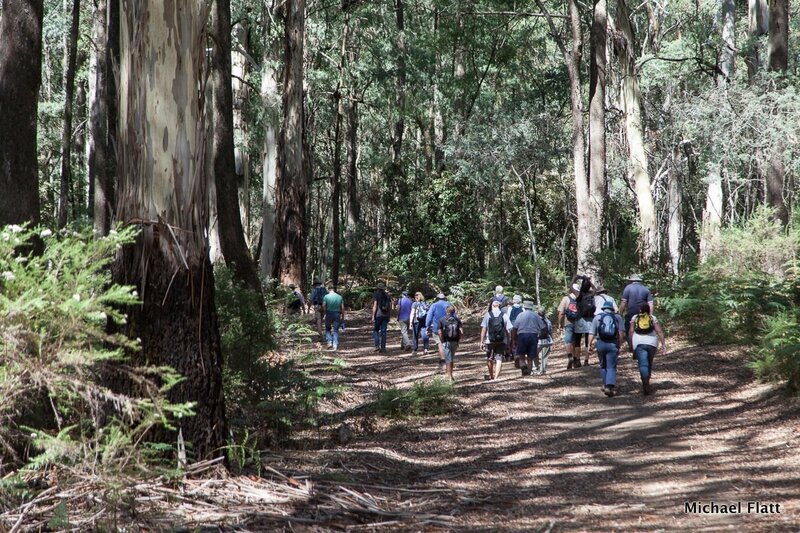 It was like walking through a cathedral of old-growth Blue Gums, Mountain Gums and Narrow-leaf Peppermint (although these were only on the lower slopes). The age and grandeur of the forest was humbling. 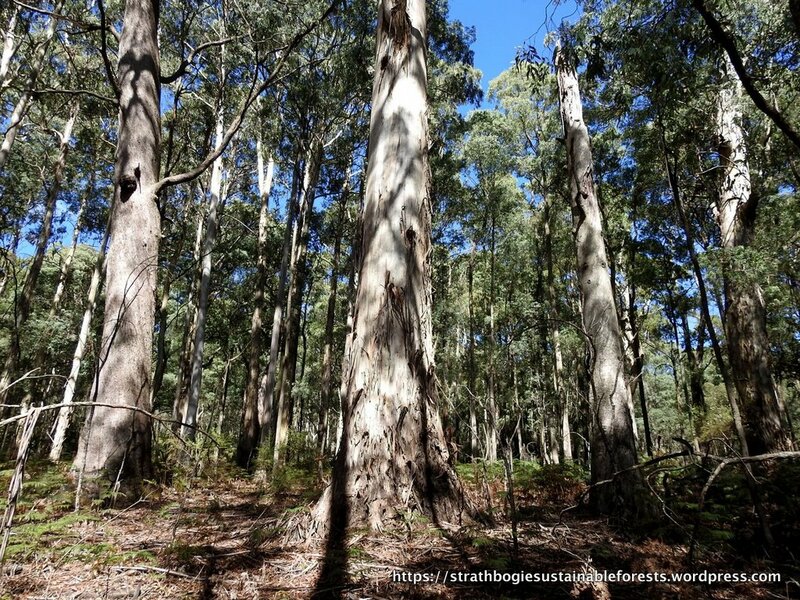 Old-growth trees and open understorey in the vicinity of Mt Strathbogie. There’s much discussion about how fire should be used in the Strathbogie Forest. An aim of any fuel reduction program is to create a vegetation mosaic, so that fuel loads vary and a wildfire can’t just rush through a forest unhindered. Of course, we’re talking here of ‘normal’ bushfires; no amount of fuel reduction or breaks will stop a big fire on a really, really bad day. 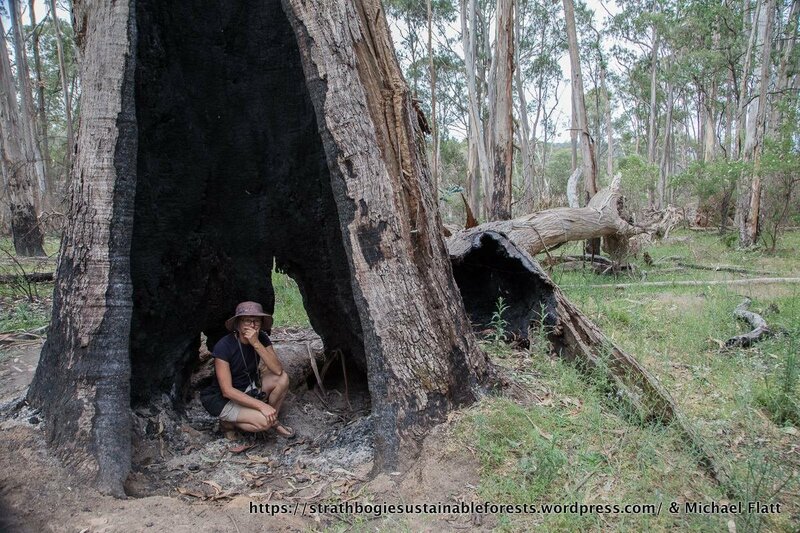 Planned burns to reduce forest fuel have been conducted for many decades in the Strathbogies, but have only been mapped since the 1970s (40+ years ago). 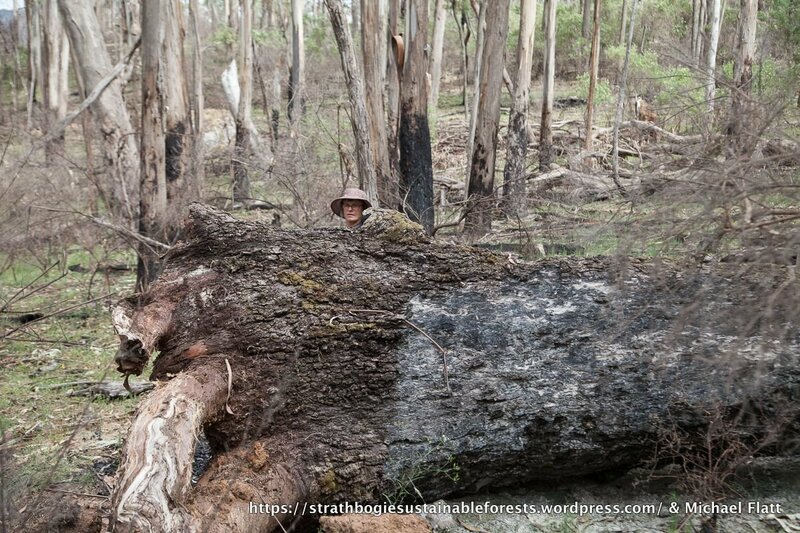 We are concerned that too much planned burning is occurring in the Strathbogies and that it’s having a negative impact on significant forest assets. Our recent survey of the Tames Rd planned burn showed how ecologically devastating a ‘successful’ planned burn can be. These maps of the main part of the Strathbogie forest show how much planned burning was done and where, in each decade since the 1970s. For reference, some other forest management assets are mapped: brown= pines, yellow = ‘reserves’, purple = Special Protection Zones (high conservation value areas), green = mapped/modeled old-growth (forest with old-growth elements eg. big trees). The darker-green background is forests that Click on an image for the slide show. Planned burns 1970 – 1989. Its’ interesting to see how the patchwork of planned burns increases with time. Keep in mind that lines on maps don’t tell the whole story. Important detail such as percent coverage, fire intensity, fire impact are not documented for any of these burns, so the maps are only part of the picture. Nonetheless, it’s clear that much of the forest has been burnt in the last few decades. 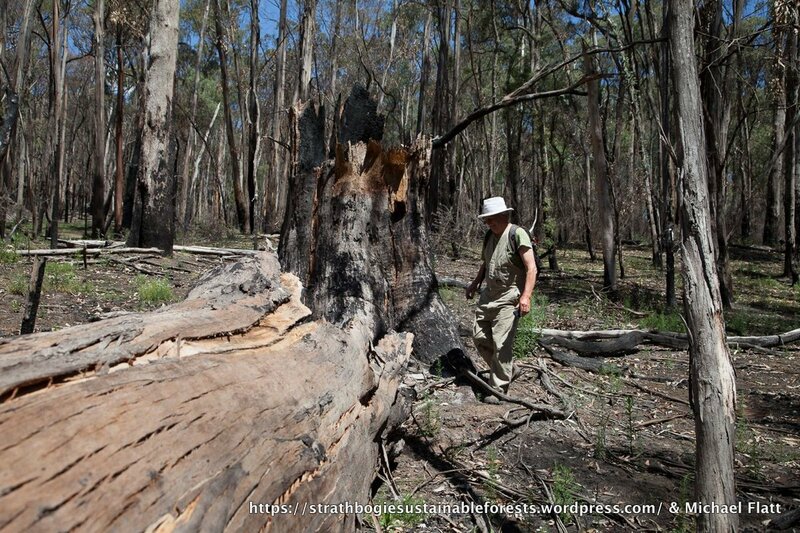 In the Strathbogies, long-unburnt forest and ecologically mature forest is rare and fragmented. Such forest has particular biodiversity values not present in younger forest and there are many types of plants and animals that rely on long-unburnt forest for survival. The remaining areas that are long-unburnt, that contain ecologically mature forest of high conservation value, should remain unburnt. The above quotes are from DELWP’s Planned Burn>Plants and Animals webpage, but oh, how different reality is! DELWP is an organization of many good people wanting to make a difference, but we fear that the juggernaut of policy & operations just sweeps everyone along and the details fall through the cracks. 1. DELWP needs to acknowledge that the Tames Rd planned burn has had disastrous environmental consequences for the forest. 2. Adopting current planned burn practice for the other scheduled burns in the Strathbogies is totally unacceptable. 3. 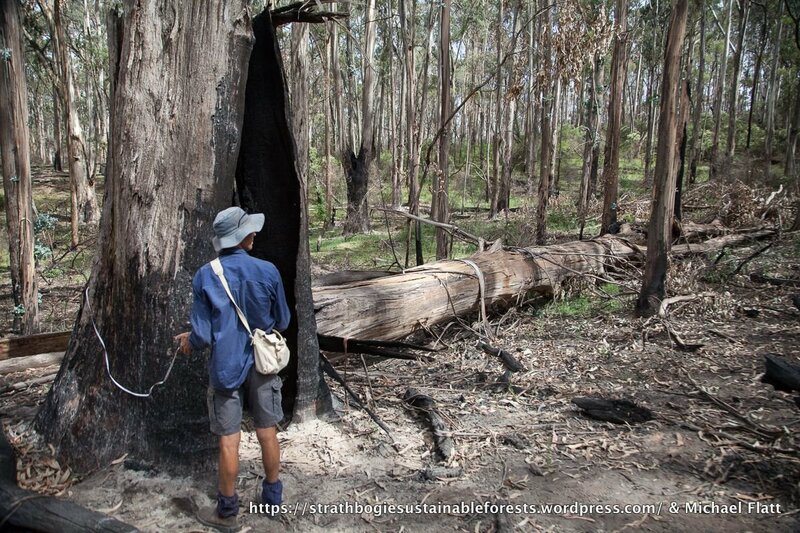 The planned burning schedule for the Strathbogie forest needs a major, evidence-based, re-think and an unequivocal backing away from the 6700 ha target as set out in the current FOP. 4. 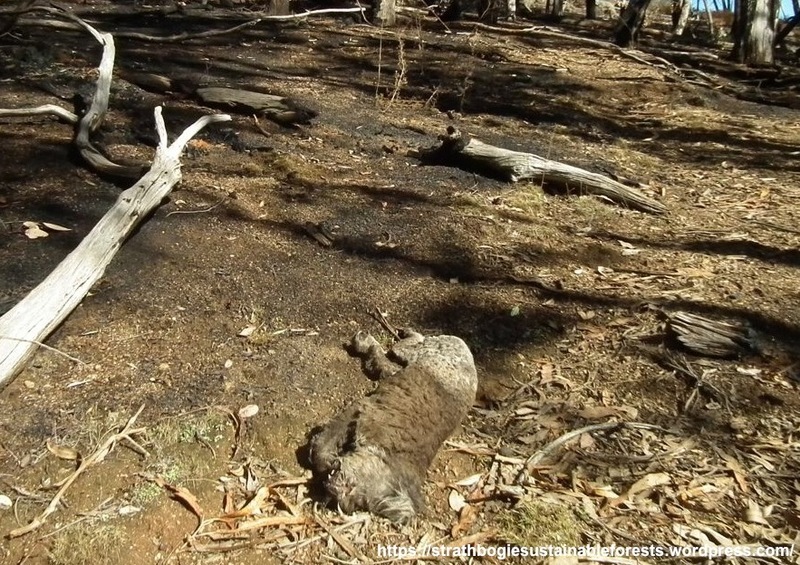 In the absence of DELWP agreeing to the above points, we are calling for a complete moratorium on planned burning in the Strathbogies (LMZ and BMZ), pending a VEAC investigation into the management and values of this important natural asset. Planned burning – an ecological disaster? A clear, blue-sky day was followed by a clear, still night ideal for spotlighting. We traveled to Lightning Ridge Tk, fourteen of us in six cars, to see what lives in this part of the forest – due for a planned burn next season. 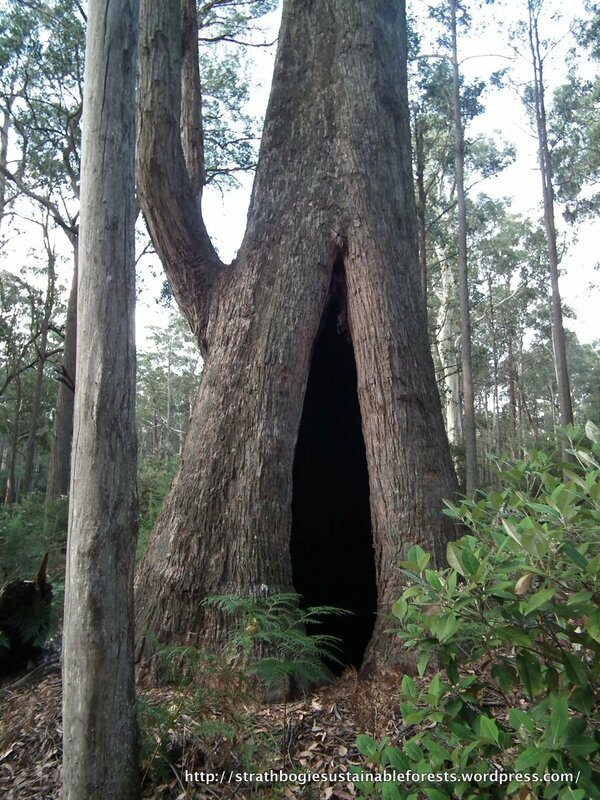 How old is this Strathbogie forest giant? Messmate Stringybark (Eucalyptus obliqua) south side of tree.